If you’re on the hunt for a reputed and trustworthy garage repair company in Chino Hills, California- look no further! All Garage Door Repair Chino Hills can help you with whatever issues you are experiencing with regard to your garage door. We have been installing and repairing garage door in this city for a long time now and you will find that our company is the go-to firm for premium quality garage repair services. The best thing about us is that we provide top notch garage door repair services right in your very own locality. Our employees are skilled, hardworking and have many years of repair expertise. No matter what problem you may be facing with regard to your garage door- we can fix it for you. We are particularly good at gate repair, garage door panel repair and garage door track repair. If you find that the door opening system is malfunctioning or your garage door panels/tracks are giving trouble, feel free to give us a call. 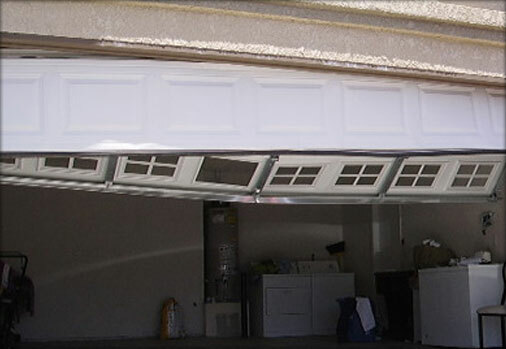 We, at All Garage Door Repair Chino Hills California, strive hard to provide the best quality repair services. We can help make your life a lot simpler. We rate your safety and security very high on our list of priorities and we tailor our services to suit your needs. The various cables and springs used in garage door systems undergo a lot of pressure and repairing them can be a very tricky and complex job. Our technicians are all fully licensed, insured, bonded and certified and they are all capable of excellent repair work. At All Garage Door Repair Chino Hills, we make your safety and security a priority and a major part of our services includes yearly or half yearly tune-up sessions for garage door. During these sessions, we do a full check of all 300 parts which make up the operating system of a garage door. These checkups help to take care of any minor bugs and also ensure that each and every component of the garage door is functioning effectively and efficiently. One of our most commonly provided services is repair of broken extension or torsion springs. If your garage door is one of the heavier types, you will probably have to deal with torsion springs whereas if your door is on the lighter side, extension springs will have to be repaired or replaced. Repair or installation of these springs can be very difficult and requires a lot of time, effort and expertise on the part of our repair personnel. If you do not have enough knowledge, please do not attempt repairing it on your own as it can be risky to do so. We, at All Garage Door Repair Chino Hills, are perfectly equipped to take on repair or replacement of such springs and we can get it done as fast as you would like! Our technicians are all highly trained and have many years of experience dealing with torsion and extension springs. How can you be sure of the quality of our service? Well, we hire only those technicians who are experienced, talented and have a very strong code of ethics. We are available for repair/installation work at any time of the day. Don’t believe us? Just give us a call and our repair team will be outside your house or office within 45 minutes! Our customer care representatives are particularly skillful at guiding our customers through the whole repair process and they can also help you to choose which style of garage door will suit your residence. Our 24-point special maintenance system was established to ensure that your garage door always function smoothly. We, at All Garage Door Repair Chino Hills, are here to take care of your garage door related issues. Just call us on (909) 325-6102 and we’ll be there in a jiffy.